However angry and humiliated, those allies do not seem ready to confront Mr. Trump, wishing to believe that he and his aides can be influenced over time. To some, it is reminiscent of what Samuel Johnson said of second marriages: a triumph of hope over experience. At least for now. After their statement on Tuesday regretting Mr. Trump’s response and promising to work with Iran to preserve the deal, the foreign ministers of Britain, France and Germany are to meet on Monday with Iranian officials “to consider the entire situation,” said the French foreign minister, Jean-Yves Le Drian. Already, Mr. Macron spoke by telephone on Wednesday with his Iranian counterpart, Hassan Rouhani. Afterward the Élysée Palace issued a statement saying that it was “the will of France to continue to enforce the Iran nuclear deal in all its dimensions,” potentially widening a breach with the Trump administration. “He pointed out the necessity for Iran to do the same,” the statement added. He told Belgium’s Flemish regional parliament that Washington “no longer wants to cooperate with other parts in the world,” according to The Associated Press. “At this point, we have to replace the United States, which as an international actor has lost vigor, and because of it, in the long term, influence,” he said. On the Iran deal, Britain, France and Germany have already said that they will uphold the terms and will work to keep Iran in the agreement, while trying to protect their companies. The European Union has a “blocking regulation” dating from 1996, designed as a countermeasure against United States sanctions against Cuba and Iran, and later only Cuba, that seeks to prohibit compliance with foreign-trade restrictions. 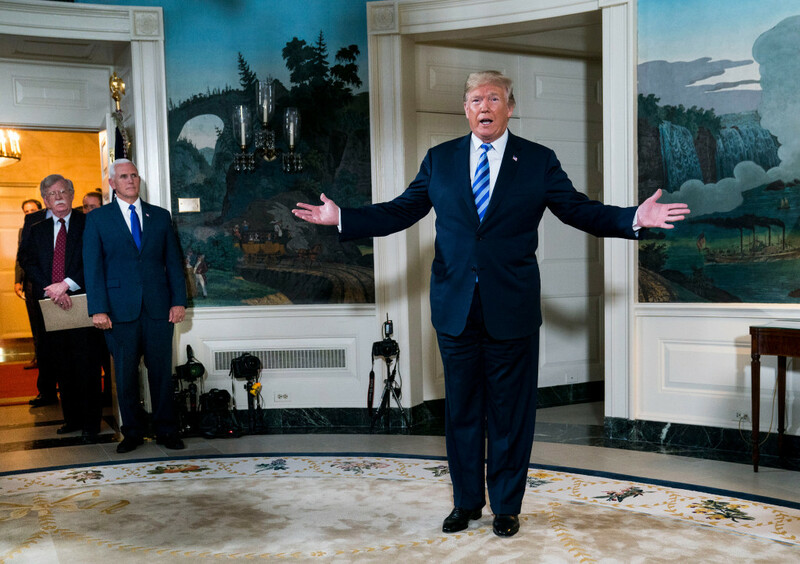 But it is rarely used, it would have to be amended to deal with United States sanctions on Iran, and it would not entirely reassure companies that also trade with the United States. But Mr. Shapiro pointed out that European companies feel too vulnerableto risk American sanctions. “What they might lose in Iran is dwarfed by the American market and the reach of the American banking system,” he said. The French also say that they will use the time before the sanctions come back into force to seek American exemptions for some of their companies.